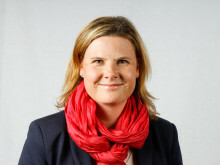 Rebecca Thomson has worked for both the Australian and Finnish Heart Associations across the areas of marketing and fundraising. 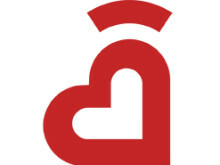 In this article Rebecca looks to showcase two key public awareness campaigns which are having an impact on heart disease in Australia as well as seeks the expert opinion of Roni Beauchamp, Acting Chief Executive Officer & Manager Heart Health, Heart Foundation Australia, Victorian Division, to share her expert advice on the featured campaigns in this article. Much like Finland, one of Australia’s biggest killers of both men, women and children is heart disease. While the peak body, the Heart Foundation Australia, has achieved many key milestones in its over 50 years of operation, a lot is still to be done to reduce the number of families being affected by this largely preventable disease. Off course there are hereditary and congenital heart disease factors that unfortunately come into effect for some, however many people impacted could have prevented their condition by making some simple lifestyle changes. The Heart Foundation Australia aims to reduce the number of families affected in several key areas, from research, advocacy, right through to public awareness campaigns, to name just a few. This article refers to two successful public awareness campaigns running in Australia both aimed at behavioural change which have had a significant impact to the way we view heart disease and raise awareness of its cruel reality and ultimately save lives. What’s important to remember is that these campaigns are part of a wider strategy. The outward facing public campaigns are not the only action that is put in place to make/drive change in the below mentioned cases. They play a key role in the public educational component of a larger action plan being delivered. For myself personally; I’ve seen many families, including my own, affected by this largely preventable disease. Lives lost too soon or families having to totally transform the way they live (in an instant) to adapt to the disabilities and damage experienced from their heart attack. Not able to participate in their once loved sports, eat their favourite foods or even work. Priorities change, lives are permanently affected and many wish they could “turn back the clock”. I feel passionate about raising awareness & funds, regardless of the country I live in, so more families don’t have to experience the pain and suffering that mine has. Many Australians consume more than double their daily average intake of salt and it’s largely due to pre-packaged and processed foods with high hidden salt levels. Excess salt can cause high blood pressure increasing the risk of heart attack and stroke. So how can we make changes within our own lifestyles to reduce our salt in-take and be supported in making such changes? Many of us wonder “where do I start”. The “Unpack The Salt” campaign aims to highlight to Australians the amount of salt that is hidden in packaged and processed foods so they can make healthier food choices. The Heart Foundation Victoria and Vic Health originally launched the campaign under the tag of “Don’t Trust Your Tastebuds, in June 2016 to show that things that don’t taste salty can contain a lot of salt. Phase two of the partnership’s program shifted to the Unpack the Salt campaign with the main aspects being to; raise awareness of the issue, educate consumers to be able to identify the levels of salts by effectively being able to understand & interpret food labels as well as work with industry on a major “re-formulation” project to reduce salt levels within their packaged foods being sold directly to consumers. The community educational campaign, has seen the development of; a dedicated website, TV advert aired across mainstream media & social channels as well as educational tools and resources made available to easily make change within our everyday lifestyle which even includes recipes. Consumer awareness testing showed that 32% of the target audience were reached through the campaign. 67% of people who were exposed to the campaign have taken at least one action as a result of seeing the ads. 24% changed their eating habits by buying less packaged foods and cooking more fresh foods. 70% of respondents either strongly agreed or agreed that limiting salt intake is important for the long-term health and wellbeing of their family. The Unpack the Salt website has received a lot of traffic with hundreds of recipe downloads, indicating Australians are taking steps to reduce the salt in their diets by preparing fresh healthy meals. Social media engagement was also high playing an important role in the campaign. Unpaid media also provided an extensive reach even beyond the target audience, coverage included stories on all major national news channels as well as other popular TV & radio shows reaching an estimated 12.5 million Australians. More than half of all deaths from heart attack occur before people reach hospital and about 25% of those who have a heart attack die within one hour of their first ever symptom. The longer a patient experiencing a heart attack waits before seeking help, the greater the risk of permanent damage to the heart, ongoing disability and even death. Often this results in longer hospitalisation, ongoing disability, rehospitalisation, and eventual heart failure. One of the Heart Foundation Australia’s flagship campaigns has been the “Will you recognise your heart attack - Warning signs of a heart attack” campaign which has run across several years. By effectively understanding and identifying if you are in fact having a heart attack, the sooner you make it to hospital the chances of survival increase greatly as well as reduces the possible long term damage to your body and heart. Some people will experience only some of the signs, others all and others may even just notice one. A common saying among heart & health professionals in Australia is “time is muscle” the longer it takes for you to get medical attention the more impact your heart attack will have on your body, which can cause long term permanent side-affects or in fact death. The Heart Foundation Australia therefore launched the campaign so more people can in fact recognise the warning signs of a heart attack and get themselves to hospital faster. And if it is a false alarm, well we say that is a great outcome. The goal of this campaign, which includes TV, radio and digital advertising is to educate Australians so they can recognise the warning signs of a heart attack and call 000 (the emergency line) or seek medical advice as soon as possible. It is estimated that one-in-ten, or 500,000 people, who have seen the campaign have made a lifestyle or behaviour change like losing weight, increasing exercise or giving up smoking. Q) Do you believe the above mentioned campaigns have had an impact on heart disease in Australia? A) whilst it is too soon to tell the actual impact on heart disease, we do know that more than 2/3 of people who have seen the “Unpack the Salt” campaign have taken steps to change their behaviour and reduce their salt intake. Similarly, The Warning Signs campaign resulted in greater use of emergency management services and a reduction in the delay to treatment for those suffering a heart attack. Anecdotally, I have heard many heart attack victims say they knew what to do from our Warning signs campaign. Q) How has the public responded to these sorts of campaigns in Australia? A) The Australian public places an enormous amount of trust in the National Heart Foundation of Australia. They have always welcomed and responded to the evidence-based information that we present. We are seeing an increased level of interest in health and fitness in Australia which is very encouraging. This increase in interest gives us hope that Australians are taking our messages around diet and physical activity on board. Q) In your opinion what is the greatest challenge in driving change through public health educational campaigns such as these in Australia? A) Unfortunately, short government terms and a lack of commitment to prevention campaigns result in many of our messages being stopped just as they are about to get real traction with the Australian Public. For campaigns to be truly effective there needs to be a long term commitment to enable frequency and consistency of messages. Q) If you had to select just three tips that you would like every Australian to know and be aware of when it comes to heart disease what would these be. A) 1. Heart Disease is still the single biggest killer of Australians; 2. Know your risk profile, starting with knowing your Blood pressure and Cholesterol and 3. Work toward reducing your risk by giving up smoking if needed, eating lots of vegetables, wholegrains, fruit and going for a brisk walk every day. Author: Rebecca Thomson, past Australian Heart Foundation employee, current resident of Finland, specialising in not-for-profit support in the areas of fundraising and marketing.